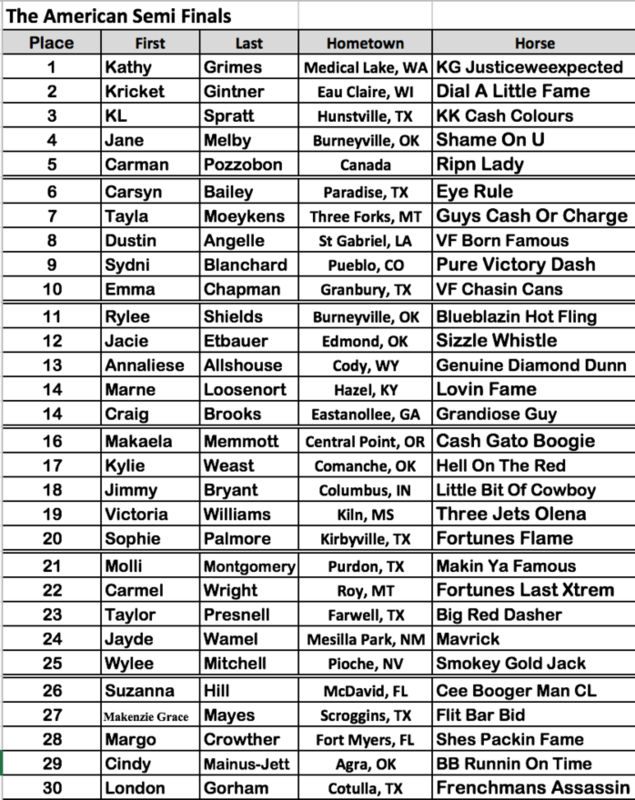 For the first time in the history of the event, a Buy Back Barrel Race will be held on Thursday, February 22, at 8 a.m. to give today’s contestants who failed to qualify in the top 30 the opportunity to take one more run at advancing to the world’s richest one day rodeo and million-dollar bonus side pot only qualifiers will be eligible for. Expect one to three contestants to advance from the buy back to the semi-finals, depending on number of entries. 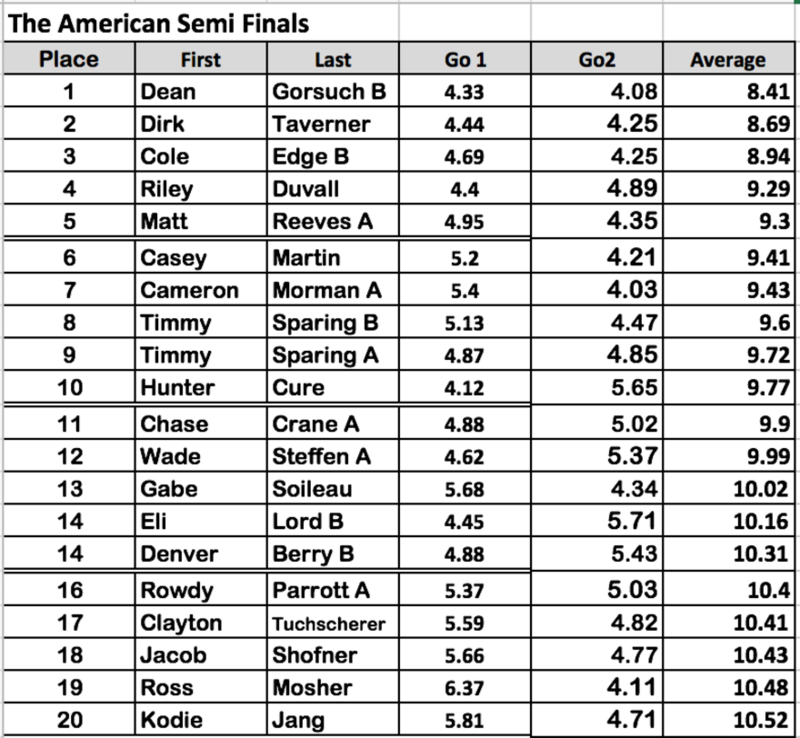 The top twenty fast times from RFD-TV’s The American Semi-Finals, presented by Dish Steer Wrestling Slack on Tuesday, February 20, at Shepard’s Valley Cowboy Church are as follows. Each contestant made two runs and were placed on their aggregate score. This year, for the first time, contestants not placing among the top twenty (20) who’ll advance to the semi-final performances, will have the option of entering the buy back event scheduled for 9 a.m. on Wednesday at the same location. Depending on number of entries, one to three contestants will advance from the buy back. Tomorrow’s events will start at 8 a.m. at the Cowtown Coliseum with Tie Down Roping Slack ($10), followed by the Steer Wrestling Buy Back Event (FREE to the public) and 9 a.m. Team Roping Slack at Will Rogers Memorial Center ($10) with the Team Roping Buy Back Event immediately following (FREE to the public) and concluding at 7p.m. with the Bull Riding Semi-Finals at Cowtown Coliseum ($20).